The spiral is KingsIsle’s bread and butter. It’s what connects Wizard101 and Pirate101 into one massive story. If that story were to expand, I always assumed it would be through Wizard101, Pirate101, or even a potential new 101 game … but it seems I’ve found a deeper spiral story in a very unlikely place: Animal Cove. For those unfamiliar, Animal Cove is one of KingsIsle’s unreleased mobile games. It’s a match-3, but it relies heavily on narrative. The more levels you complete, the more story you unlock. What starts off as an innocent island adventure soon turns into something darker. Something familiar. Today I’ll be delving into all the larger spiral connections and mysteries I’ve found in Animal Cove. I had noticed several spiral nods in Animal Cove’s early updates, but I dismissed them as just that – easter eggs. I thought they were just fun little details meant for Wizard101 and Pirate101 players to look at and smile. It wasn’t until the July 2018 update that I realized no … these weren’t just nods. These were key storyline clues. Knowing that, let’s look back at 3 of the earliest hints. If you recall, the spiral pattern on the floor was key to opening the mysterious case and growing the seeds (which would turn into talking flowers). For some reason, the spiral seems to have magical properties. It even had a designated spot for the powerful gemstone you found. Whoever constructed the park all those years ago must have made the spiral symbolism important ON PURPOSE. The spiral is an integral part of the park. In the process of cleaning up the park, Dez stumbled upon boxes of decorations. These decorations have none other than the Ravenwood school symbols on them. Players are able to choose which symbols they want to decorate their park with, but all 7 are available. Winston also points out that the decorations look fairly new … which makes him question whether Elias had plans to reopen the park. But how would Elias know of Ravenwood and even get these decorations in the first place? Does he have connections to the spiral himself? It has been hinted that he knows more than he’s letting on. My park displays the fire and balance school symbols. One of Animal Cove’s biggest reveals is that something very unfortunate happened in the year 1915. A man named Gunther was writing about what led up to the tragic event in his journal. He talks about someone referred to as “The magician. The guardian. The chosen one.” Whoever that was seemingly caused the disaster to happen, and the aftermath made Gunther go insane. When the writing stops, the mad scribbling begins. And what’s littered all over that journal page? Spirals. Some spirals even seem to contain connections to circles … like a thread. Perhaps a nod to all of the spiral’s worlds that are connected in its space. Notice the many spiral scribbles on the right page. Like I mentioned earlier, the July 2018 update made it clear that the spiral was going to be the center of the Animal Cove story. 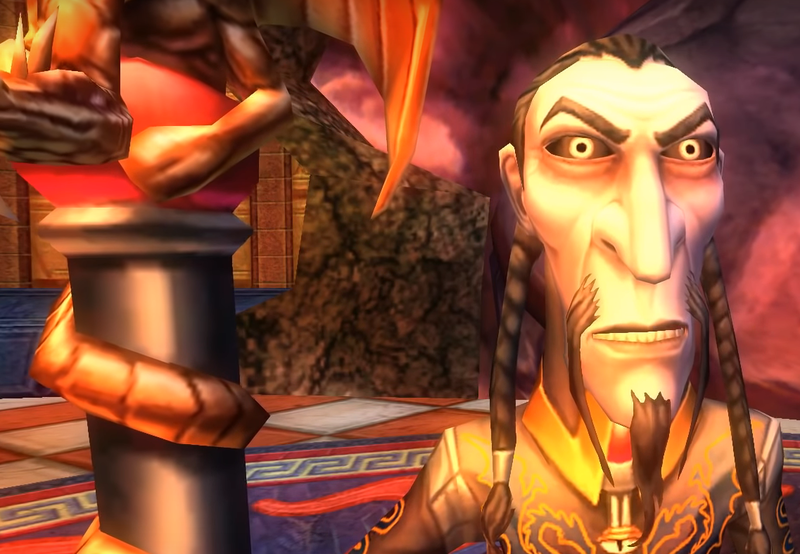 Gone were the vague nods and introduced were the very obvious clues that Wizard101 players would instantly recognize. While cleaning up an overgrowth, you found a flier with a crystal ball on it. Its only text read: “The Spiral’s Eye.” This is the first time that Animal Cove mentions the spiral by name. Even beyond that, we’ve seen Merle Ambrose use a crystal ball in Wizard101. That’s how he found us (the players!). So, it would make sense that this crystal ball is the spiral’s literal eye. Think of it like a window. The people in the spiral can use it to look into what we’ll call the “real-world” … earth. The people on earth can use it to peer into the worlds of the spiral. This is backed up by the fact that it’s already established that Animal Cove takes place on earth. Elias namedrops various real-world cities that he’s been to and even Winston tells you that he’s been to Paris before! If you look closely, you can also see that the flier has the same spiral scribbles on it as Gunther’s journal. This means that the terrible 1915 event is connected to the magician, who is somehow connected or fascinated with this crystal ball. The spiral scribbles make another appearance. When Winston investigates the crystal ball for himself, he confirms that he can see worlds. But here’s the catch: the crystal ball only works when it’s in the vicinity of the island’s mysterious volcanic gas. It’s worth noting that Winston has referred to clumps of this gas as “wisps.” Sound familiar? Wizard101 has two types of wisps: health wisps and mana wisps. The volcanic gas has a blueish tint, so we can safely rule out the health wisps. Is the island’s volcano the original source for the spiral’s mana wisps? It makes sense when you think about it. 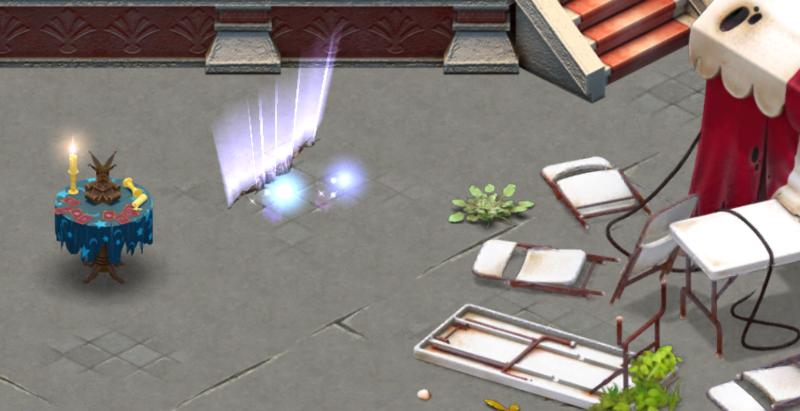 Mana wisps supply mana which power wizard spells. If the volcanic gas is, in fact, giving off mana, it would make sense why it can power the crystal ball. The gas has magical properties that might’ve been brought over to the spiral as a result of that tragic event in 1915. Through the crystal ball, you’re able to see a man. You can’t see his entire face, but I think Wizard101 players would have enough information to deduce that this man is none other than Malistaire Drake. On top of all that, remember how Amanda found an old poster that showed what the magician looked like? She described him as looking “scary.” Sure, Malistaire is scary looking, but what might put a nail in this coffin is what Amanda says outside of her official dialogue. You see, Animal Cove has blink-and-you-miss-it extra dialogue. Sometimes this dialogue is pure fun, but other times it brings up questions or clues that are of utmost importance. In this case, Amanda mentions that the magician she saw on the poster was hairy. Malistaire is definitely hairy! Amanda knows what he looks like. Lastly, this mysterious person directly tells our character that he “knows us.” But what if it goes two ways? What if this small piece of dialogue is KingsIsle hinting that we already know this person? A person from a different game. I know that if this IS Malistaire, it’s certainly going to complicate the Wizard101 storyline. How? When? Why? I’ve already been brainstorming possible ideas and a timeline … but that’s a post for another day. Stay tuned!